UPDATE: It has been brought to our attention that the link submitted to us was from the Canadian GameStop Website, and not the US version. The US GameStop Website has NOT updated their site to include a pre-order poster…… so we are still waiting for an official announcement. I’ve tracked the original source of this information to Nintendo Everything. UPDATE #2: It appears this is a US Pre-Order bonus after all. Multiple fans have confirmed this after speaking to their local GameStop’s. It appears the US GameStop website hasn’t been updated yet to include this bonus. Finally, and rather close to the release date to encourage a proper sales boost, GameStop has shown us the pre order bonus for Ocarina of Time 3D. The poster features a bunch of the official art from the game, but there is no word on the size of the page. They also haven’t revealed if it will be double sided like the European poster. 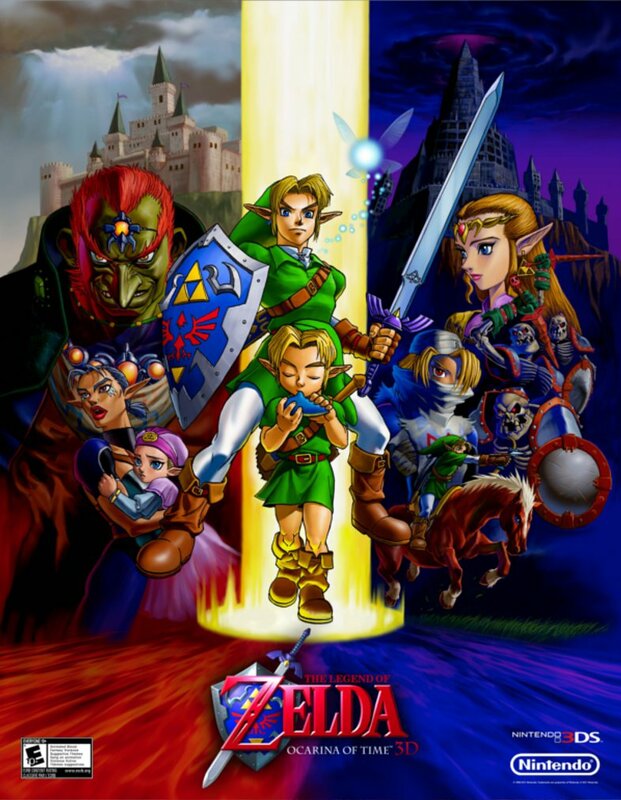 Pre-order Legend of Zelda: Ocarina of Time 3DS at GameStop/EB Games and receive this exclusive poster for FREE! So while it’s not quite as good as the European or Australian releases, it’s better than nothing, right? At least I finally have a reason to pre order. Have you already pre ordered? Will you pre order now that you’ll get this bonus poster? Let us know in the comments.